A temperature-controlled pharmaceutical storage apparatus for containing temperature sensitive pharmaceutical substances which must be maintained within a range of temperatures to avoid diminishment of potency or shelf life. 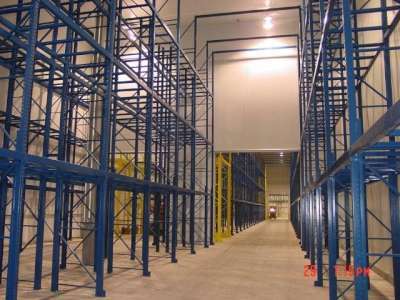 Temperature excursions and what to do to resolve, and prevent them is not an issue that has suddenly cropped up, but one that is taking on greater significance following improvements in warehouse construction. Buildings are better insulated, more air tight and thermally efficient thanks to stringent building regulations, so the issue is no longer how to make sure a building is warm in the winter, but how to keep it cool in light of the higher external summertime temperatures we are experiencing. This issue is of relevance to many within the pharmaceutical sector, not only distributors, but manufacturers who act in the capacity of distribution and logistics specialists who take on big pharmaceutical storage/distribution contracts. MHRA statistics show that temperature increases above 25°C have been the single biggest issue for those responsible for the storage of pharmaceutical products for the past five years. Temperature excursions are serious because non-compliance with the manufacturer's storage recommendations and the MHRA's guidelines on general storage can lead to expensive product recalls, may prompt the destruction of affected products and, ultimately, could cause a health risk to patients. Issues relating to temperature control will cost the distributor in a number of ways, especially since they can lead to a loss of confidence in the distributor by manufacturers, the MHRA and pharmacists. Glossing over temperature control issues is not an option since the MHRA’s Orange Guide makes it clear that distributors must comply with the regulations or face sanctions if their facilities are found to be wanting. Adverse inspections will trigger recommendations for corrective action and if it is not taken the MHRA can take regulatory action. This may include suspension of a manufacturer’s or wholesale distribution license, compulsory variation of licenses to exclude certain activities and sanctions against the Responsible Person. The most serious offences could result in distributors losing their licenses. The fact remains, however, that a warehouse without cooling will not comply with the EC regulations governing the storage of pharmaceutical products if we continue to experience high external summertime temperatures. 2006 was the hottest on record, while 2007 is forecast to be hotter still and government policy is geared to driving industry to reduce its impact on the environment, so traditional HVAC are not the answer.